Business confidence in New Zealand is rising, hitting a 10-year high as the country continues to rebuild from the global recession. New Zealand has become accustomed to being overshadowed by its larger neighbor – Australia. Often dwarfed in terms of size and importance, New Zealand has played traditional rival to Australia but has rarely, if ever, upstaged its Aussie counterpart. So it may come as a bit of a surprise to Australians that New Zealand has recently been ranked as the least corrupt country in the world by Transparency International, overtaking Denmark in the process. Transparency International’s annual Corruption Perceptions Index (CPI) reflects the perceived level of public-sector corruption in a country. The index is essentially what Transparency International terms as a ‘survey of surveys,’ taken from as many as 180 countries and territories around the world. 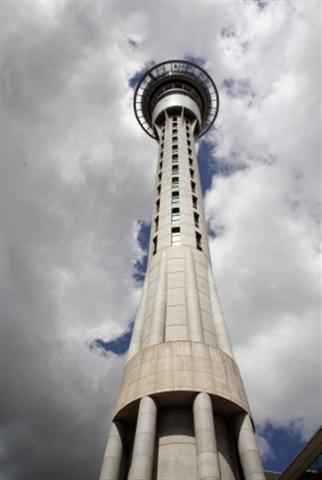 This year, New Zealand pole-vaulted its way to the top after a second place finish last year with a CPI score of 9.4. Australia dropped to eighth position in the table, mirroring the heavy bureaucracy in the country. The U.S., struggling in the aftermath of the 2008 financial crisis, slipped to the 19th slot, with a score of 7.5. Against the backdrop of these rigorous criteria, what has New Zealand done to earn such high marks? Simply told, the country has emerged as a safe environment for offshore investment. Despite slipping into a recession, the country did remarkably well in fighting the onslaught of a global slowdown. New Zealand has had a politically stable government and well-performing public sector institutions. Housing prices have been on the rise, tourism has been on an upswing, and the government has succeeded in attracting a high level of trust among investors. The country also boasts a State Services Commission that monitors the Standards of Integrity and Conduct, a strict code of conduct implemented in November 2007 to replace the old Public Service Code of Conduct. New Zealand may have well climbed out of recession but it is a common adage that getting to the top is easier than staying there. As the Commissioner of the Standards of Integrity and Conduct code observed, the country did not arrive at the top spot through complacency. And now, more than ever, the country can least afford to be complacent. Trust is a fragile virtue and ethical behavior even more so. New Zealand would do well to guard both.